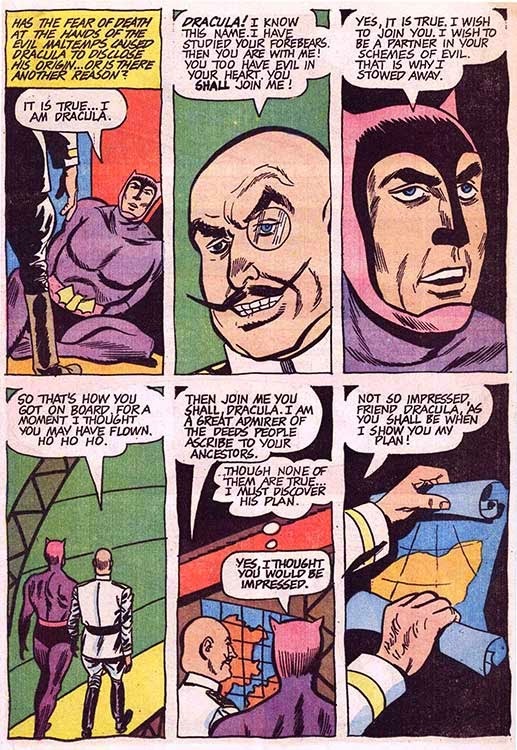 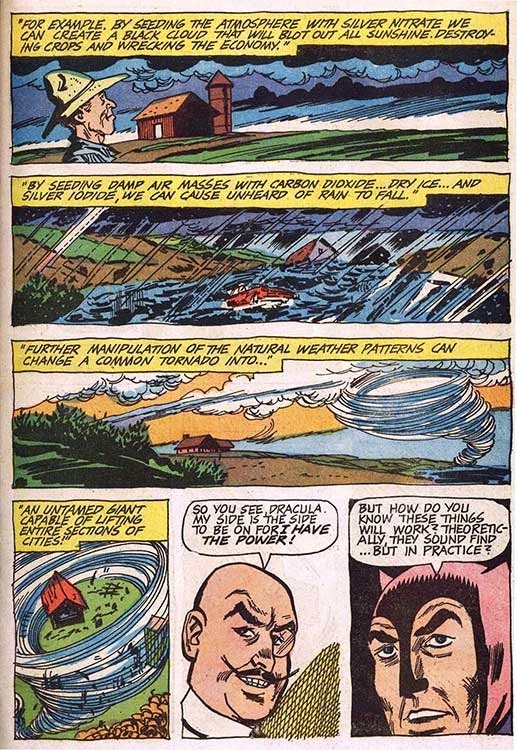 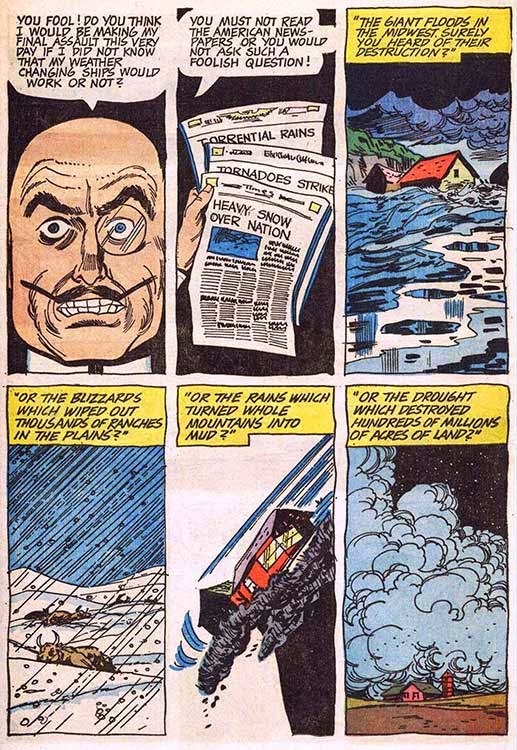 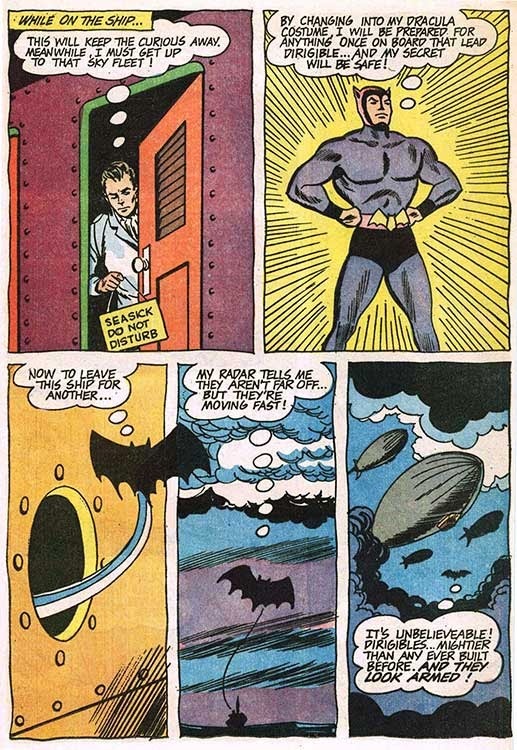 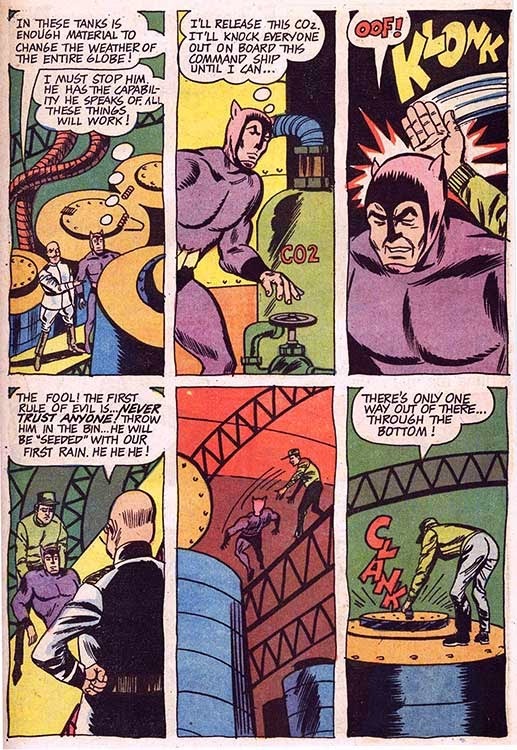 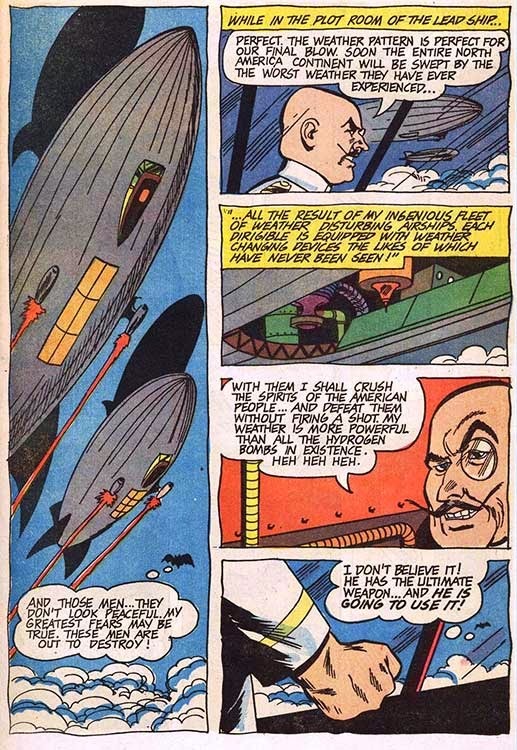 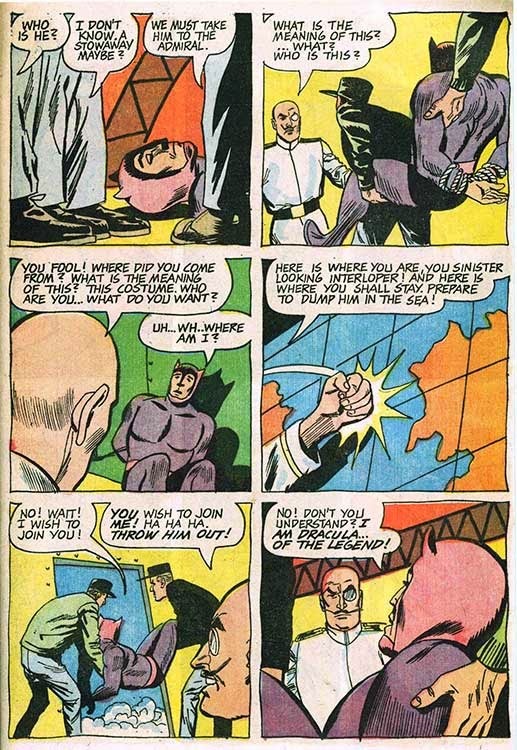 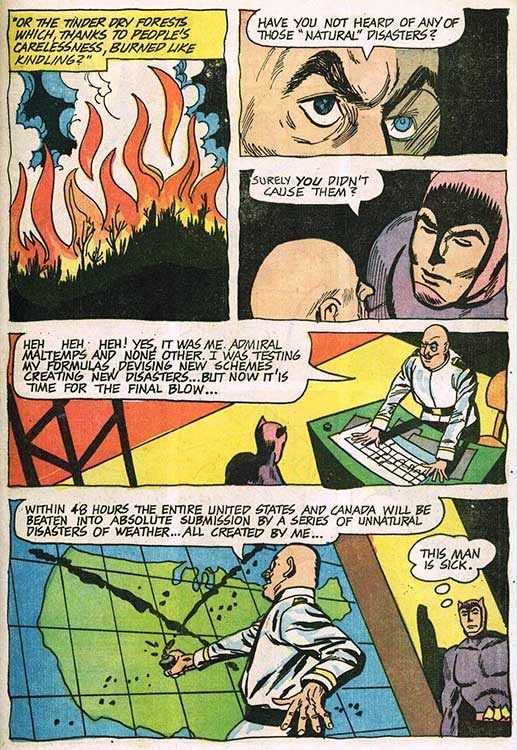 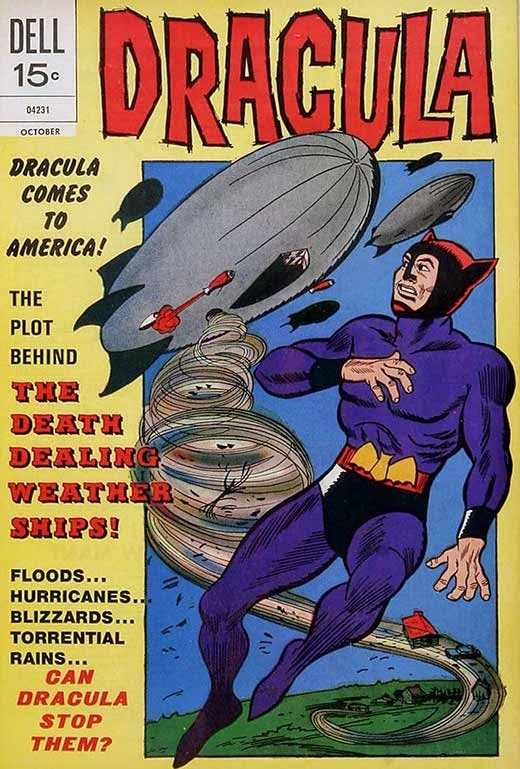 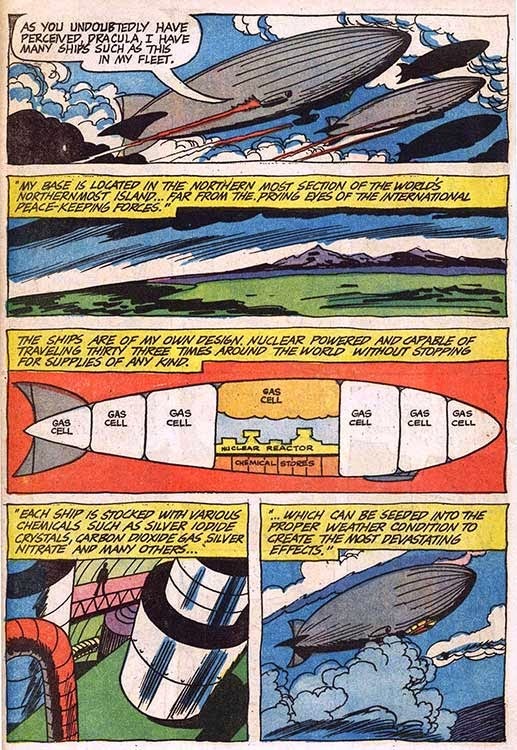 Hero Histories: Dracula the SuperHero "Sky Fleet"
Is Dracula's superhero career over before it's begun? 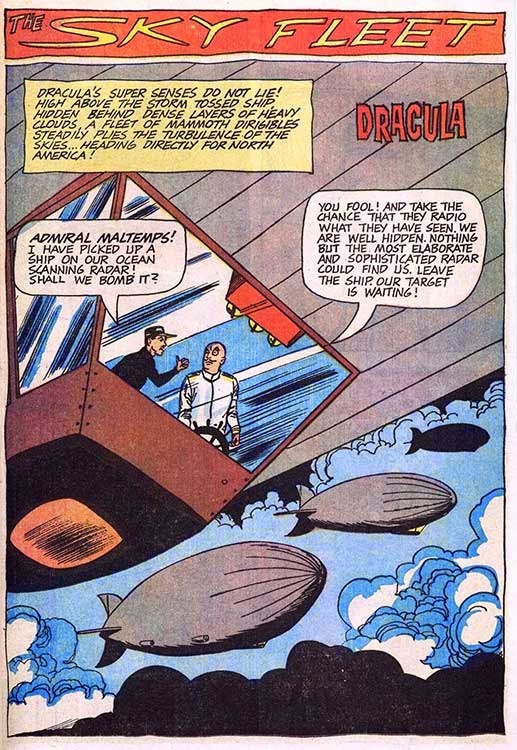 Will Admiral Maltemps freeze/drown the USA and Canada into submission? 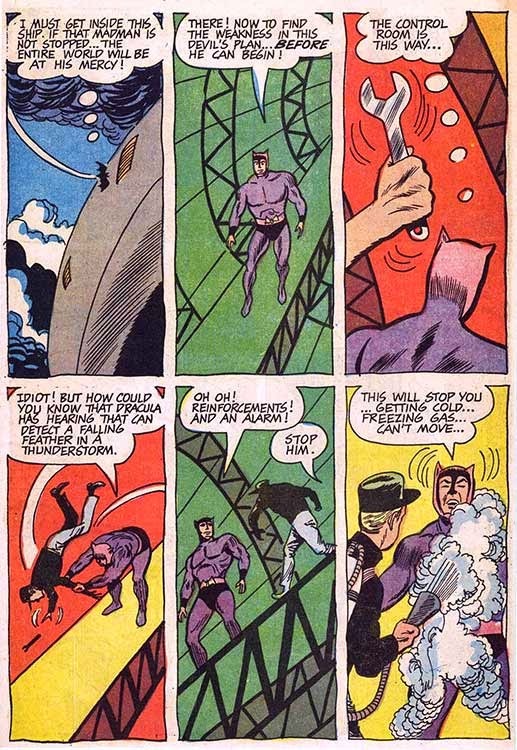 Written by Don Segal and illustrated by Bill Fraccio and Tony Tallarico, Dell's Dracula #3 (1967) finally gets our hero into costume, into super-heroic action, and into his first cliffhanger-style death-trap.